“It’s been a while,” the clergyman thinks as he gets out of bed and reaches for his prayer-book. It hasn’t held interest for him in years, but today, for some reason, he feels compelled to grab the book off its near-permanent location – the bedside table. Also on the table sits a pile of gold and bank notes – extortion fees from the nobles he is blackmailing. The scheme is simple – the nobles come to the cleric to confess, a process during which he remains anonymous. The cleric makes a note of the noble’s sin and identity and then years later collects his money via blackmail, long after the noble has confessed. Sighing, the clergyman opens his holy book to begin his prayers and he throat becomes dry. Cold sweat breaks out on his brow, his back, and under his arms. The pages of his prayer-book are defaced. Right over the text someone has painted a face with two large, black ears. Behind him a voice speaks. “If only you hadn’t given up your prayers for the pursuit of wealth, you may have received our warning in time.” The cleric does not turn around. His face curls in terror and he can only let out a whimper followed by a sob. “Please!” the cleric finally musters the strength to save between tears. It is not enough. Before he can say more, he looks down on the floor and sees the carpet stained with blood. His blood. Dripping from his own white robes and from the end of the blade sticking out of his stomach. Dark Whispers is secret organization of Gnome Assassins operating in Aeranore. They seek to right anything they deem an injustice through intimidation and murder. The gnomes fled Parian many millennia ago due to the violent persecution of their race at the hands of a human emperor. A mass exodus of humans and gnomes from Parian landed on Findalay and founded Aeranore. For thousands of years after that exodus, the gnomes and humans worked side by side building a better life in Aeranore. Then Maldwyn the Mad King sat Aeranore’s throne. His paranoia and suspicious nature made him fear the gnomes’ ability with magic. 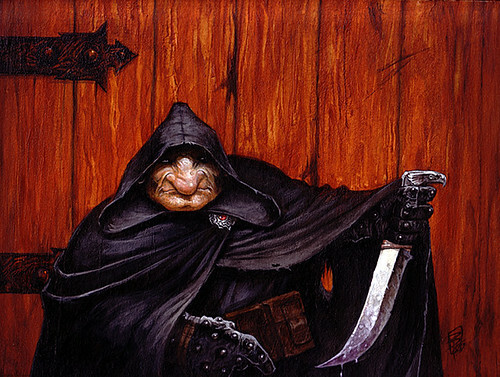 Maldwyn ordered all gnomes be removed from The Council of Mages and then demanded every member of the race be rounded up and put into walled camps. Any who spoke out against the actions of Maldwyn were immediately put to death. The gnomes had few allies amongst each other, let alone from other races. However, a group of courageous gnomes rose up and decided to take action against Maldwyn. They became everything he feared, mastering illusion magic and stealth. One night, they infiltrated Maldwyn’s court, killed Maldwyn, and all of his advisors. The victims’ ears were blackened, for the gnomes had poisoned them via the ear canal while they slept soundly. The king’s brother, Madrin, took the throne and immediately did away with the camps. He never searched for his brother’s assassins. Many believe the gnomes intimidated Madrin, explaining his actions and lack of retribution. Since there was never a warrant issued for the arrest of the gnomes who killed Maldwyn, they remained free. The vowed to never again suffer injustice at hands of another race. Folks took to calling the clan of assassins Dark Whispers, a name taken from a poem written about The Night of Black Ears by, Namfadring Dazlittle, a famous gnome bard (whom may have been a member of Dark Whispers). Dark Whispers has set forth a code for dealing with those they deem unjust. Those in power have no one to keep them in check; therefore we shall be the judge, jury, and executioners of those with power who oppress those without. All people are flawed. Before they are delivered judgement, they must first be given a symbol which warns them they are giving into evil temptation and will soon be dealt justice if they cannot change their ways. There are no third chances. There will be no warning given to those who take action to intentionally harm the gnomish peoples as a whole. These are the worst kind of criminal and shall be dealt a swift justice. We cannot allow our race to risk suffering again. Those in power hold many of the cards and only a preponderance of evidence is needed to convict them. The word of the common folk is worth twice as much as that of nobles. By these rules Dark Whispers deals out judgement. No one knows the structure of Dark Whispers or how one joins the organization. Dark Whispers could be as small as ten gnomes or could have hundreds of members. To this day there is very little proof they exist. Copies of their manifesto can be found and occasionally a noble finds a face with two black ears on a piece of parchment of carved into his or her furniture, but this could be and most likely is someone playing a childish prank. It’s the Exploration Age equivalent of Bloody Mary in many people’s eyes. Still occasionally one of those nobles who has received the sign does become a corpse. The nature of this organization and the tales surrounding it have become of great concern to Queen Icillia IV and her court. Remember how David had a fox… I’ve got a pet too. Queen Icillia IV has publicly expressed her own disgust with Dark Whispers, an organization she fully believes to be real. Though she speaks out against the organization, she has never received a mark of warning or threat otherwise, strengthening the belief for many that there is no Dark Whispers. Other argue that while Icillia rails against the organization, she has done nothing under-handed during her time as Queen of Aeranore and therefore Dark Whispers continues to let her live… for now. Either way, the queen has launched her own investigation into Dark Whispers. Many say a dangerous game of imbedded spies and double agents has begun. Who is working for whom is unclear and loyalties are fluid. Of course, publicly, no one is really sure what’s happening, since the existence of Dark Whispers has yet to be confirmed. 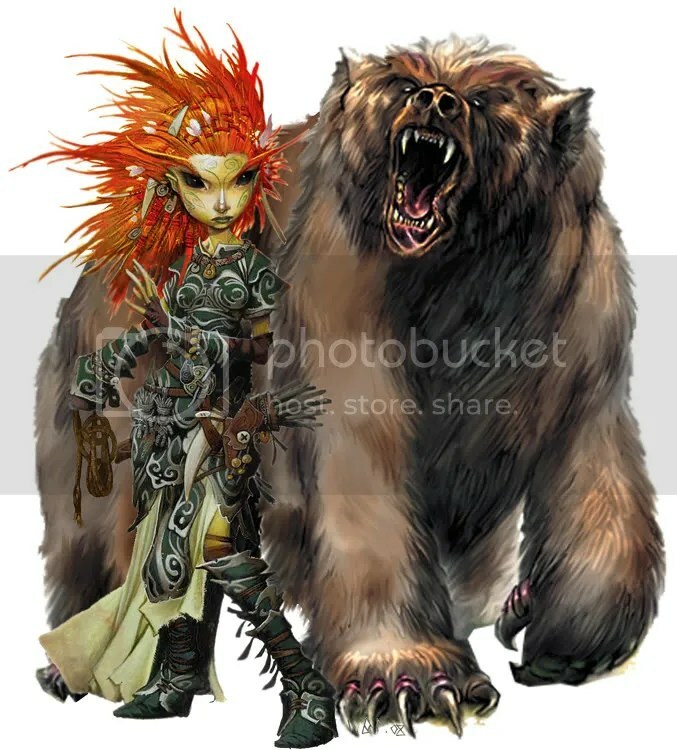 There are a lot more pictures of badass gnomes on the internet than I thought. The organization is currently run by a racist gnome supremacist who has plans to use Dark Whispers to eliminate all humans and other non-gnomes in Aeranore. Dark Whispers is no longer exclusive to gnomes and the organization may contact all types of like-minded specialists to join. Dark Whispers has grown beyond Aeranore and now has branches all over Canus. Solving the plight of warforged slaves in Bragonay has become a primary focus of Dark Whispers. Queen Icillia was assassinated by Dark Whispers long ago and has been replaced by a doppleganger in service to the organization. There is no Dark Whispers. The rumors were started by Madrin, who actually desired the throne for himself. He murdered his brother and Maldwyn’s advisors. Since that time Aeranore’s Royalty has used Dark Whispers as a cover for a few assassinations. The deep gnomes of The Underdark have their own branch of Dark Whispers known as The Lightbringers, but they are assassins for hire. The idea here is that DMs can choose which of these rumors they want to be true or not about Dark Whispers. Or perhaps they could add their own and keep the players guessing!